Last week, we held a breakfast briefing together with Fospha to discuss findings from a recent research report. In the research, we looked into the current state of marketing attribution and data management. Over one third (34%) of survey respondents believe that their company analyzes less than 20% of all consumer data available to them. Only 32.5% of businesses have a clear view of the customer lifetime value of their customers. 43% are “likely” or “very likely” to invest in a new marketing measurement technology in the next twelve months. Businesses are using seven separate technologies to extract insight from their data, on average. At the briefing, we heard from Clark Boyd from ClickZ who led the research, as well as Sam Carter, head of Fospha, who helped frame and digest it. What are some of the main data challenges for marketers today? Number one, us — modern consumers. We exhibit increasingly complex behaviors. And we move from channel to channel and device to device, to research, purchase, and review products and services. Taking advantage of the wealth of information at our fingertips, we create a record of actions and preferences. Every minute of the day, all of these actions happen. That includes almost 4 million Google searches, 49k Instagram posts, 176k Skype calls, nearly 13 million texts, and 4.3 million YouTube videos watched. In other words, ambient technology and new ways of accessing it create additional new opportunity. Getting access to that data as marketers, however, is increasingly difficult. GDPR, CCPA, restrictions on cross-platform tagging. Marketers have started to scrutinize the metrics reported on by the big tech players, because serious investment decisions are made based on these figures — and not just in marketing. 63% of marketing organizations feel that the martech landscape has rapidly evolved. But only 28% feel that they are keeping pace. But where many of us run into trouble is even knowing what questions we need to ask. If we don’t know what question we’re trying to answer or solve, we’re not going to get anything out of looking at our data. As part of this research, we surveyed more than 300 marketers to understand what challenges they face when trying to extract insights about their audiences. How much of your company’s consumer data do you believe is processed and analyzed, with the aim of improving marketing performance? Do you use marketing attribution on your digital advertising campaigns? Do you believe that the data from your marketing intelligence platform is impartial? All in all, the core purpose of the report was to uncover the challenges brands face today in taking control of their own data to make better marketing decisions. 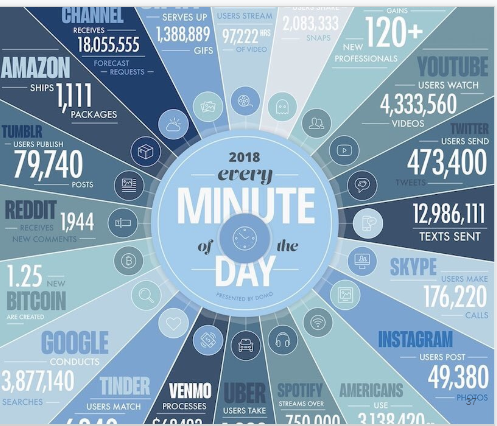 How are businesses working with data today? How effective is our use of marketing data, and is technology only creating more complexity? What is the business impact of marketing intelligence technology? Over one third of respondents think their company analyzes less than 20% of what’s available to them. Unsurprisingly, the biggest hurdles stated were data complexity, difficulty proving ROI, and lack of budget. Other factors listed include difficulty defining the customer journey, concern that insights won’t lead to real changes, internal politics, lack of time, and limitations of existing technology. Next, we wanted to look into how well organizations understand data-driven attribution. Altogether, there was about a 1/3 – 1/3 – 1/3 split of positive, neutral, and negative. People ask a lot more questions these days. CMOs of marketers, marketers of agencies, agencies of vendors, etc. And this is a great direction to be heading. Naturally, one of those questions is around ROI. What works, what input leads to what output, and where should the next marketing dollar be allocated? We looked at how attribution technology has affected marketing spend across various channels. As you can see, attribution tech led to increases in spend primarily on content marketing, paid search, and organic search. It also led primarily to decreases in spend on paid social and display. Much of this just proves what a lot of us already have intuited to be true — but of course better to validate those intuitions with numbers. What about selecting the right vendor partners? Most of us have had enough painful experiences of investing in technologies that don’t always do what they say they will. So what are marketers’ criteria when weighing new technologies? Here, we asked what people look for when assessing new marketing intelligence vendors. What’s the one feature marketers wish their technology had? Easier access to actionable insights. What does it take to be part of the top 2% who are actually best in class at this? Everything we’ve just described is meaningless unless you can do something with the data. Marketing is massively behind where it could — and should — be in terms of digital marketing data maturity. A recent report by Boston Consulting Group (with Google) from February of this year found that only 2% of brands are best-in-class at data-driven marketing. The report identified three technical enablers of digital marketing maturity: connected data, automation and integrated technology, and actionable measurement. So what can marketers do to get closer to that 2% of best-in-class data-driven marketing? A closer look at this report would be a strong place to start.